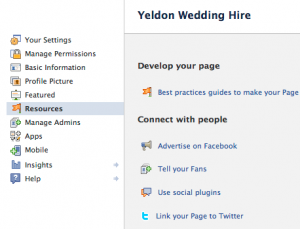 Recently I have been improving my parents website over at Yeldon Wedding Hire. One of the things that I have been doing is setting up a social media campaign by setting them up a facebook page, a Google+ page, and a twitter feed. To make the different social channels look like they are being used and updated I wanted them to cross-post items so that when I posted on twitter it posted to facebook, and vice versa. The twitter account is seperate from my personal accoutn, but facebook pages are seperate entities that dont have a login. How do I get the twitter account to post to facebook on the page and not in my personal stream? This is the easy part. Go to your page on facebook, and click the edit page button up the top right (at the time of writing). Click the link to twitter button next to the page that you want to post from. Fill out the Twitter oAuth page that appears. 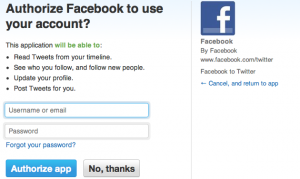 You should get redirected back to facebook where you can choose what facebook posts to twitter. Thats the easy part, but how do you get Twitter to post to your page and not your feed? 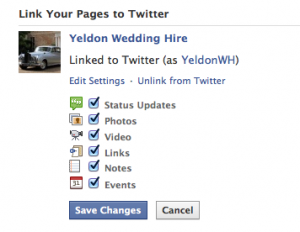 The first thing that you need to do is to add the twitter app to your facebook page. The easiest way is to follow this link to the twitter app feed on facebook. Choose the page you want to add it to, and click the link on the right. 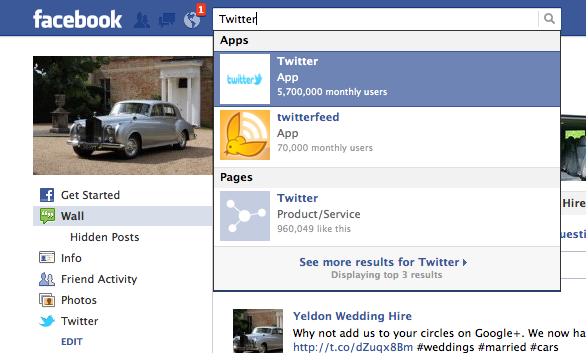 Next, go to your twitter profile, and click the connect to facebook link at the bottom of the page. Once connected to facebook, you can untick the box that posts as you, and select the page that you just added the app to. I think you’re awesome and I love reading your blog, please blog more because your posts are really interesting!